The anniversary of the 50 year alliance between Brown and Tougaloo is forged during the Southern Freedom Struggles of the 1960s. 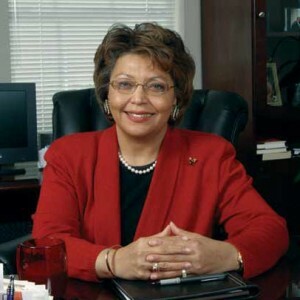 Tougaloo’s visionary President, Beverly Wade Hogan represents the expansion of that partnership for the enrichment of faculty and students at both institutions. She receives a Doctor of Humane Letters from Brown in 2013. 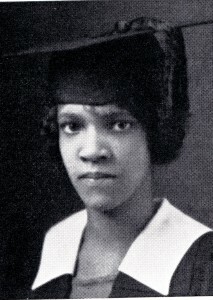 Beatrice Coleman ‘25 (1907–2014) age 109, is considered Brown’s oldest graduate at the time of her passing. Alison Stewart ’88 is elected Trustee to the Brown Corporation by alumni. Her term is from 2013 to 2019. Craig Barton ’78 is appointed Trustee on the Brown Corporation. His term is from 2012 to 2018. Jasmine Waddell ’99 is elected Trustee by alumni to the Brown Corporation. Her term is from 2011 to 2017. Dorsey James ’83 is elected Trustee by Alumni to the Brown Corporation. His term is from 2009 to 2015. Debra Lee ’76 is appointed to a second term as Trustee on the Corporation. She serves from 2006 to 2013. With this appointment, she becomes the twelfth Black trustee appointed to the Corporation. Galen Henderson ’93 is elected Trustee to the Brown Corporation by Alumni. He serves from 2003 to 2009. Bernicestine McLeod Bailey ’68 is the tenth Black Trustee elected by alumni to the Brown Corporation. She serves from 2001 to 2007. Javette Laremont ’80 is ninth Black Trustee elected by Alumni to the Brown Corporation. She serves from 2001 to 2007.